Red Tricycle DC Lists Clarendon Moms on DC Mom (and Dad!) Bloggers They Love! 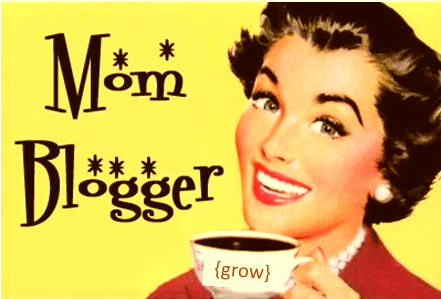 We’re not quite sure what gives them their super-powered edge, but man, are we grateful for all the totally amazing mom bloggers in and around the D.C. area! Whether you’re looking for some family travel advice, coupons and giveaways, local kid-friendly events, or just a hilarious story or two, we’ve gathered up our fave local blogs that are worth bookmarking. Angelica, part-time writer, blogger and a full-time devoted wife and mother, has lived all over the world but chose to make the Courthouse-Clarendon neighborhood of Arlington Virginia home. Her blog features practical tips and advice on pregnancy, parenting, family, cooking, career, health, wellness, beauty, books, entertainment with a focus on fashion, local events and other fun stuff. On this totally awesome blog, you’ll find a wealth of hot-topics and entertaining articles by local moms and experts on topics ranging from kindergarten readiness to make-up tricks. Bookmark this great resource for finding the best shops, services, activities, and everyday essentials for raising a family in the DC area. This hip and chic upscale family travel website was started by Elizabeth Thorp, a writer and mom to three little divas. The site is all about fantastic family getaways and travel tips–and you can even search their topics for specific travel ideas such as vacations with pets or eco/green vacations. The mama behind this blog is Sarah, who compiles store deals, freebies, product reviews/giveaways, and everyday savings for families in the Washington DC Metro area. Check in daily to get the 411 on money saving in DC. Nicole Dash is a mother of four living outside Washington, DC in Northern Virginia. She also runs a home-based daycare and, as you can imagine, life is a never-ending adventure with all those kids. Nicole knows “There is no perfect parent or child” and she enjoys writing about pertinent childcare issues, her own family, her daycare and more. She also occasionally does giveaways, contests, and reviews of products. This site is all about keeping your family busy in fun and fantastic ways. Mom Kristina seeks out the events and activities in Prince William County and collects them into a calendar that gives you easy access to the best the area has to offer. You’ll also find giveaways, reviews, and more on this handy site that keeps an eye out for fun. Andrea is the Social Media-savvy mom behind this blog–and you can totally get a sense for her friendly personality through each post. In addition to social media tips, giveaways, and calls to connect and network with other fabulous women in Northern Virginia, you’ll find posts that focus on practical parenting or Andrea’s own family adventures. Parenting playgroups, travel tips, summer camps, and more! This blog is a great resource when you want to check on the goings-on around town. The folks at the Kid Trips blog gather local events they think you should know about, share ideas for simplifying your life, and host great giveaways. Check it out! The brains of this blog is Laura–a busy mom of two, who happens to coupon, teach workshops, home school and blog. BeltwayBargainMom.com is aimed to “Keep you in the loop” on DC-area deals. Laura shares local deals, features money-saving tips and you’ll find everything from grocery store deals, valuable coupons, free food offers and frugal family events on her site. Jen is a mother of two middle school boys, working hard to hold it together while juggling a career, marriage, and life in the Baltimore/DC Metro area. Hip As I Wanna Be is a personal memoir and lifestyle blog where she writes about issues and solutions geared towards the life of a working woman, as well as fitness, self-help, family life, and just about anything else that strikes her fancy. The Moneywise Moms blog is split into 4 totally helpful categories: Family Finance, Home Cooking, Around the House, and Frugal Fun. You’ll find everything you need to know about family budgets and financial goals, meal planning and shopping for special diets, plus DIY projects and organizational tips. This site is a bounty of information–you’re sure to get inspired. Jessica McFadden is a mother of three children who loves providing her fellow Washington, DC-area parents with ideas for fabulous family activities, knowledge about local resources, useful information and entertainment. Her goal is to is to motivate readers to laugh, try something new, and find greater joy in their own families. KidFriendly DC is a go-to resource for recreation with kids in the DC-Metro area. From the tried and true to the new and cool, find out where to go and what to do with the kiddos in the nation’s capital. You’ll find everyday play ideas, a calendar of events, seasonal activities, and more. In addition to being a Parenting contributor to Huffington Post DC, Washingtonian Magazine and The DC Moms, Wired Momma (a.k.a Monica) is one of Washington DC’s top mommy bloggers. She knows that parenting is never dull or easy but it can be hilarious. A self-proclaimed expert on nothing, with an opinion on everything, Monica writes about local parenting topics, broader parenting issues, the challenges all parents face when trying to manage career and children, and the realities of raising toddlers–all with some good-natured humor and a pinch of snark. Her name is Robin, but you can call her noteverstill. She is a busy mom of 3 who believes clean laundry is not over-rated but folded and put-away laundry is; that the glass really is half full; and that imagination can never be too nurtured. (As Robin says: “I have a station wagon filled with living proof.”) Robin writes about her family and parenting with a quick wit and a friendly voice. Check it out! This Mom blog specializes in life lessons, helpful hints, good ideas, flops, mistakes and practical expectations. BananaBlueberry was born when Nicole Crowley’s young son announced to her that he loved Bananas and he loved Blueberries. Bananas are good for you and Blueberries are great for you. And thus the idea began of a virtual world where everything is good for you, nothing is perfect and learning is fun. You’ll find kids book reviews, Nicole’s family adventures, and more. Mom Kenrya spent so much time waxing poetic about the virtues of pocket diapers and why she can’t live without her baby carrier that she decided to compile her thoughts and tips into one handy eco-minded blog. She feels that being a Black mother who has worked in media for more than a decade gives her a unique perspective on the green movement and she strives to help others realize their “hippie” potential. She hopes you can pick up a couple tips to make your parenting journey easier, healthier, greener and more fun. When blogger Betsy became a parent, she learned quickly that as a full time, stay at home mom, it’s important to give yourself credit for those little victories in life – because they all add up. She started Mommy FTW to share her triumphs, favorite things, what she’s learned, and the general ins and outs of her trip into motherhood. She writes about rediscovering her hometown of DC through her kids’ eyes, the experience of motherhood the second time around, and more. Representing local dads is Suburban Daddy, a blog that presents thoughts, experiences, stories, and parenting information from a Northern Virginia dad’s point of view. The Suburban Daddy behind it all writes about the places his family goes, the things they do, and the crazy-fun chaos of life with 4 kids. This site is a great resource to find out what’s going on in and around Alexandria. Primarily a catch-all calendar and local news source, this blog also has suggested summer reading lists for kids, family outing ideas, and more. The mama behind this blog is María José, a very busy mom of two. Her blog is a space to share things that busy mothers and women love, such as fashion, beauty, fitness, but often put aside when the children come along. She knows that many moms no longer have the pre-kids income or body and writes about working with what you have, how to shop your own closet and staying stylish on a MAJOR budget. A Reading Specialist, writer, consultant, and mom to a three kids, Amy Mascott shares tools and resources parents can use to become the best teachers for their children. On her site, you’ll find posts such as “Top 10 Ways to Talk to Kids About Books,” craft and DIY learning ideas, critical thinking ideas, and more. Stimey is a stay-at-home mom, writer, and parent to three neurodiverse kids with a range of autism, ADHD, and SPD. Stimey herself was diagnosed with Asperger’s in early 2012 and writes candidly about her family’s experience, along with favorite and familiar topics like movies, parenting observations, and pop culture. Stimeyland was also selected as a top autism blog by both Babbleand The Stir. This site offers a dynamic view of the world through the eyes of some of the savviest and most entertaining moms in the DC metro area. The DC Moms bring you news, reviews and reactions on an array of subjects including world events, family, health, culture, sports, home, fashion and more. What else? Try giveaways, date night ideas, local outings, and pretty much anything else you can think of. This is a totally helpful online directory for parents in MD, DC, VA, PA & WV. Here, you’ll find everything from birthday party venues to summer camps to sports to music lessons and ideas for family fun in your area–plus, recipes, public school guides, and more. Run by a thrifty mom who hates paying full price, DC Thrifty Mom is a great place to get the scoop on free or cheap happenings in the Washington DC Metro Area. Join the community of other thrifty moms and share budget-friendly events and cost saving tips. The mom behind Momastery has had plenty of ups-and-downs; she is a recovering bulimic and alcoholic and her road to motherhood and who she is today included lots of struggle and learning experiences. Now, she blogs with a refreshing honesty and isn’t afraid to admit to mistakes and find the funny in everyday things. She writes about her faith, her family, and the importance of living a kind and brave life. The Meanest Momma (a.k.a Kendra) is a stay-at-home mom to three kids who chronicles the minutiae of her family’s lives, shares homemaking tips, reviews [mostly] kid products she’s come to love (or hate), and highlights areas for kid fun in the Metro DC area. Kendra is a proud Christian and “mean” mom who sometimes plays “bad cop” to ensure her kids get the structure and discipline they need. This is a helpful and fun online community of moms who love to shop, save money, and talk about anything woman. The site also features local Washington D.C. events, daily product reviews, parenting tips, cooking, craft ideas, technology trends, money-saving tips, coupon sharing and more. On this awesome site, you’ll find tips and tools for “the business of motherhood.” Mom Amy has three active sons and is a nationally recognized source on parenting. On her blog, she writes about parenting tips, money matters, tech safety for families, and organizational ideas. You’ll also find recipes, Mom Inspiration articles, and lots more. Stay informed on all things Family! This is the blog of Brenda Hyde, the publisher of FAMILY Magazine. Brenda enjoys writing about motherhood, local events, tips for healthy families, and recent business trends and marketing ideas. Before she became a mom, Jaclyn Day only blogged about affordable fashion and style. While these are still favorite topics, she’s now thrown in “lifestyle things” like book reviews, and her experiences as a new-ish mom. Check out her blog to find out how to replicate current trends on the cheap, read up on beauty products, and catch a story or two about Jaclyn’s family. Mom blogger Jill loves writing about her family adventures. She’s active and she knows it; she’s got a kid and two teens, is a social media marketer, and seizes family time whenever she can. Check out her insightful and amusing musings on family, daily mom life, and more. Did we miss your favorite local blogger? Tell us your pick and why you follow the blog religiously, and we’ll add him or her to our list!